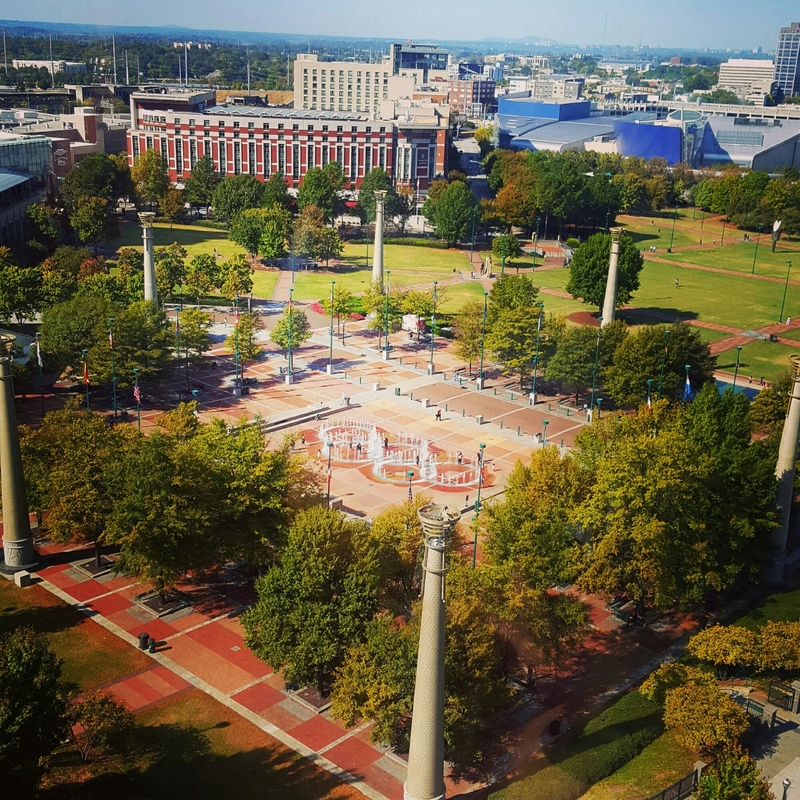 Here is the splash pad at Olympic Centennial Park from the top of the Skyview ferris wheel. From about 15 stories up, a wonderful view of the rings and the surrounding torches made the ride worth the price of admission. The wheel is at the southeast corner of the park.